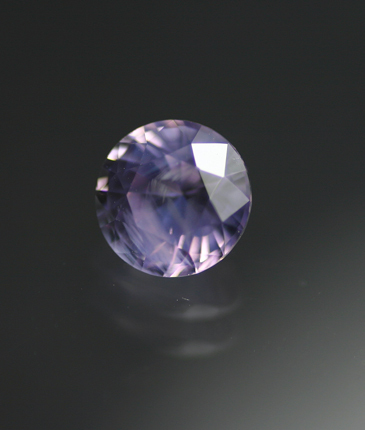 A lovely little gem pastel purple Sapphire form Sri Lanka. The color is light and bright and just touched with a pinkish modifier. What we really like about the look of this stone is the very low relief rutile inclusions that diffuse the color and give the gem a slightly velvet-like texture. These are also, of course, proof that the stone is unheated. We used some transmitted light to try and highlight these in the last photo. Quite lovely.